Firstly, I structured my project similar to that found in a standard ASP.NET MVC project. So I have the models, views and controllers folders, which contains the appropriate modules. Now, let’s have a look at how I set up my models. I define my models in individual files, just like I would in ASP.NET MVC, and using RequireJS, I can set it up as a dependency for any modules that uses it. As you can see, all this module does is returning a Kendo model. That’s it. At this point, you might be wondering, what about nested models? At least I was. Here’s how I did it. Next, let’s have a look at how I’m using these models that I’ve created. In my demo project, I’m using my models as schemas in my service calls. It will ensure that the data I’m fetching is mapped according to the structure and property types defined in the model. If you remember how I had set up the Comment model, it has a property that is of type User. Kendo should automatically map the author values to the appropriate property fields. To demonstrate this, let’s have a look at the view. It’s all pretty self-explanatory. I have a ListView that I want filled with comments from my datasource, and rendered using the provided template. As you can see, everything is working as expected. However, I’d like to point out that even though I’ve defined what the property type should be, it seems like Kendo is completely ignoring this during mapping. I was expecting it to show some sort of error in the console, but it didn’t. Maybe I’m doing something wrong. 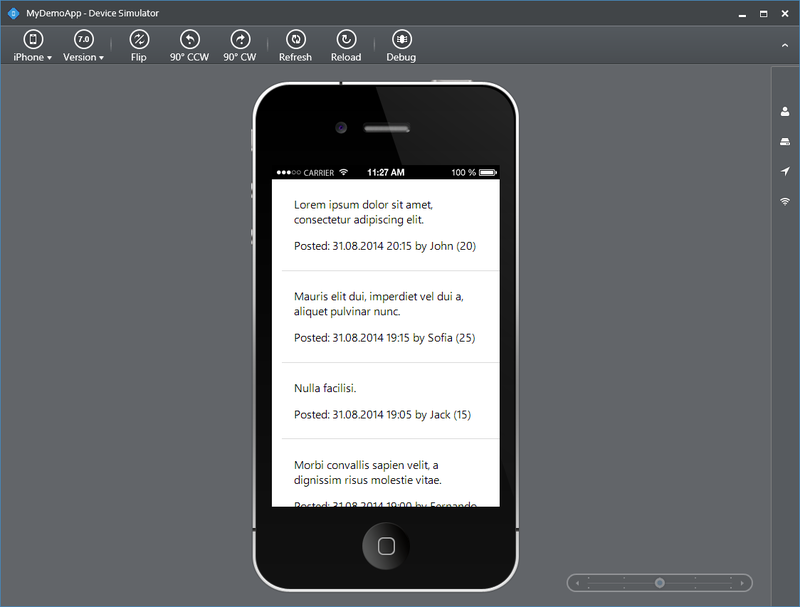 As always, there are other ways to set up an Appbuilder project. This is just my take on it. I like how ASP.NET MVC projects are structured, and I didn’t see why it couldn’t be implemented in other languages. You can find my demo app here. 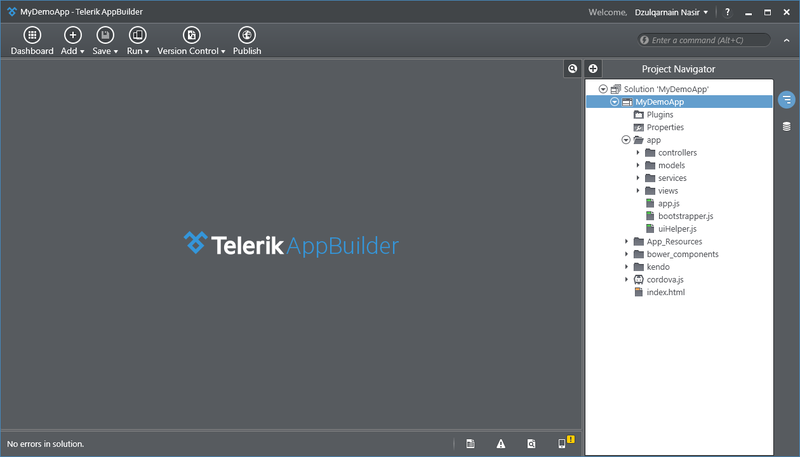 I’ll be improving it as I continue my journey into mobile app building using the Telerik Mobile Appbuilder.